It has been a rocky couple of months for solar companies, but First Solar (s fslr) just hit a new and unexpected hurdle. On Tuesday afternoon, the thin-film solar darling announced that CEO Rob Gillette will no longer serve as its CEO, and Chairman and Founder Mike Ahearn will step in as interim CEO. The company didn’t give a reason for the departure. That’s an unexpected move as Ahearn hasn’t been involved with First Solar for some time — he was the CEO back in 2009 — and actually launched his own $300 million venture firm this summer. 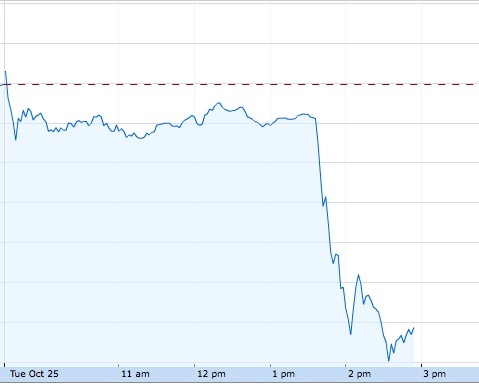 Investors certainly didn’t like the news. First Solar’s stock has tanked and dropped over 20 percent since the announcement.